You have probably examined the ingredients of your shampoo and other hair care products out of curiosity. If you look at the label, you will often discover sodium lauryl sulfate (SLS) as one of the primary substances listed there.A lot has been spoken about sodium lauryl sulfate in shampoos but what’s the truth? What does the presence of SLS in hair care products imply for you and can it have an adverse effect on your health? Some claim that it is quite dangerous and even carcinogenic, while others dismiss these worries. Where does the truth stand? SLS is an inexpensive type of detergent derived from coconut oil. SLS can also be derived from petroleum processing. It is widely used in cosmetic products. SLS can be found in shampoos, bath gels and crèmes, toothpastes and detergents. This is the ingredient responsible for the formation of foam. Another chemical from the same family – sodium laureth sulfate is the most commonly used ingredient in detergents and shampoos. Recently, many health-aware individuals have started refraining from the purchase of hair care products that contain the two chemicals. Why is that? If you search the web, you will discover numerous articles that describe the dangers associated to the usage of cosmetic products containing SLS. Some of these reports state that SLS is carcinogenic. Though these claims hold some truth, most of them are significantly exaggerated. One of the trustworthy reports is produced by the Cosmetic Ingredients Review (CIR) organization. Its members and experts have one main goal – to determine which ingredients used in the creation of cosmetic products are dangerous. After a wide range of studies, CIR’s experts concluded that SLS can be dangerous after prolonged usage of hair care products that contain it. Over time, SLS has the ability to accumulate in skin cells, interfering with the natural ability of the epidermis to form a protective barrier to harmful external influences. CIR concluded that people should refrain from using products containing SLS over a long period of time. Prolonged exposure to SLS can result in skin dryness and peeling and the appearance of dermatitis. 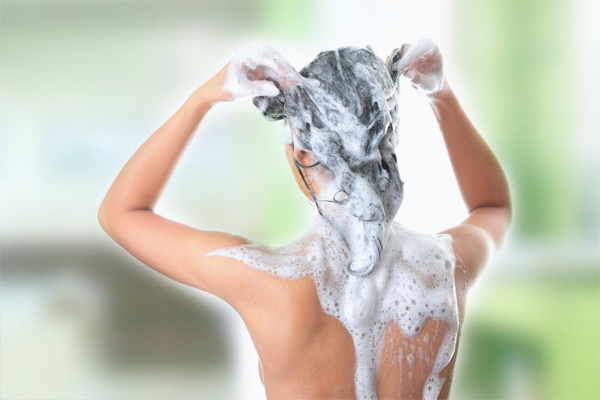 If SLS is found in the shampoo that you use on a daily basis, it can cause hair thinning and dryness. As a result, you could experience intense hair fall. People who suffer from acne, dry skin and hair fall should refrain from using hair care products that contain SLS. Though reports are ambiguous, some large cosmetics companies have gradually ended the usage of SLS in their hair care lines. The move resulted from the worries of consumers, rather than from the excessive health risks associated to the usage of SLS. Naturally, the views of the cosmetic industry and of eco-organizations differ. Many ecologists claim that SLS is excessively dangerous and used only because it minimizes production costs. Discovering the truth can be difficult. The best thing you can do is refrain from continuously using hair care products containing SLS. If you feel uneasy about the substance, it will be wise to start using organic hair care products. Though their price could be higher, these products contain solely harmless ingredients.